Additional requests: Blueberry filling for all cupcakes, Fresh strawberry and cream on top of the bottom row, a small bear attached together, ribbon on the box. Phew, those additional requests sure make our handsome Zed Zaidi's birthday! 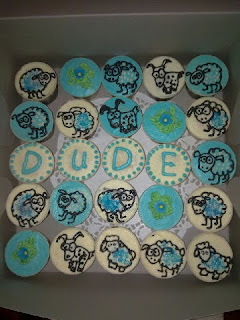 One of the coolest way to make someone's happy on their birthday, right? Hee. Thanks for the big order! Our first try on this! Kinda cool, aye? 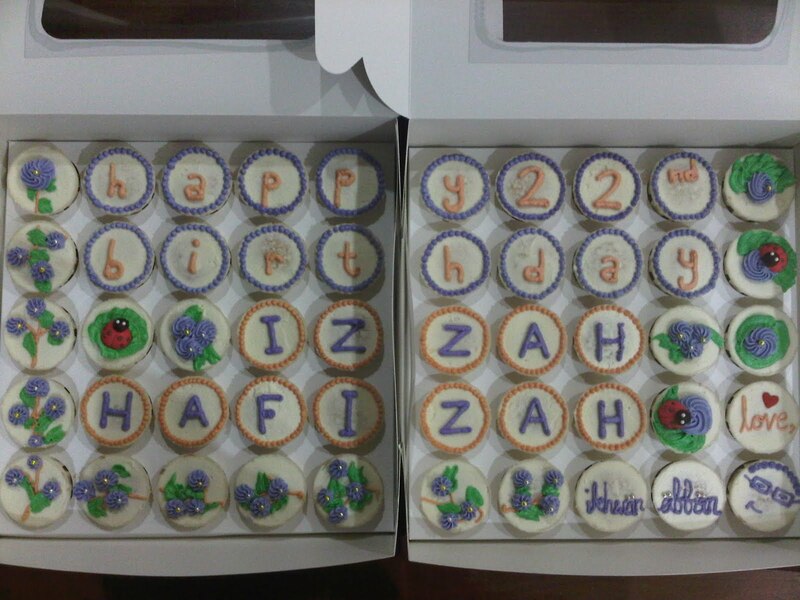 Request: "Happy 22nd birthday Izzah Hafizah, love, Ikhwan Affan"
One of iXalicious' favorite design! Thanks Ikhwan for the order! Happy birthday to Norita's husband! Additional request (s): As an engagement gift, no "flowery". So we gave her "funky" instead. This isn't an order. It's a gift to someone special. Additional request: Chocolate coating to the whole cake, additional oreo as topping and embellishment, and to write "Happy Birthday JUNE babies - Zek, Mummy, Mukis, Mathus"
Wow that cake sure looks yummy! 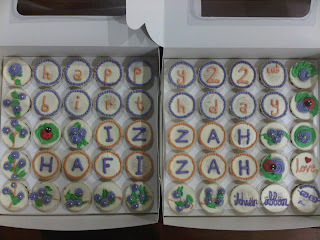 Thanks Aisyah! Thanks Nora. Hope you did a wonderful job in SUKMA. Happy 1st birthday Hayl Arsyad! Happy 7th birthday Harith Arsyad! Hoping that the birthday boy is happy with his favorite cartoon character!